The Six pack care Smart is designed to target your upper, middle and lower abs, and your obliques, but it also does so much more. In all it combines great exercises plus cardio, to give the ultimate total body shaping and toning work out. 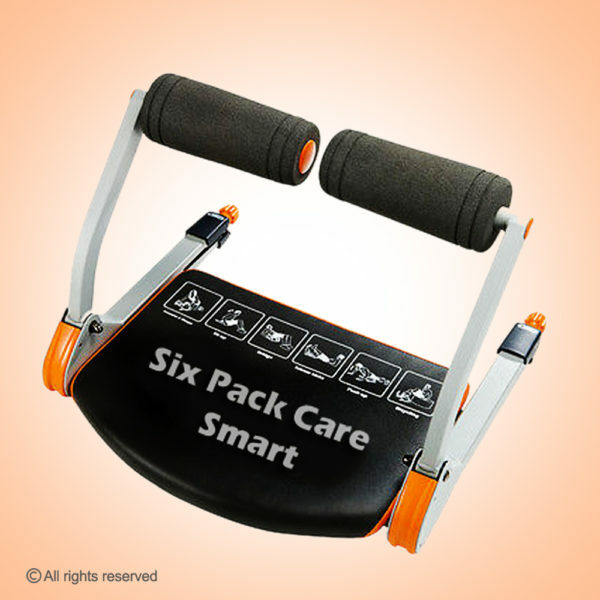 Six pack care smart is a compact exercise machine the manufacturers claim is the ultimate way to work your abs and core muscles, and promises to get you in the best shape of your life. It has resistance springs on either side of its padded seat and they say you can use it to do 8 different exercises plus cardio. With this you can do Sit Ups or Crunches, Push Ups, Bridge , Scissor Kicks , Forearm or Biceps , Triceps , Ab Tucks , Bicycling.It can help you achieve the desired shape with an appropriate diet it will become an effective way to lose weight.